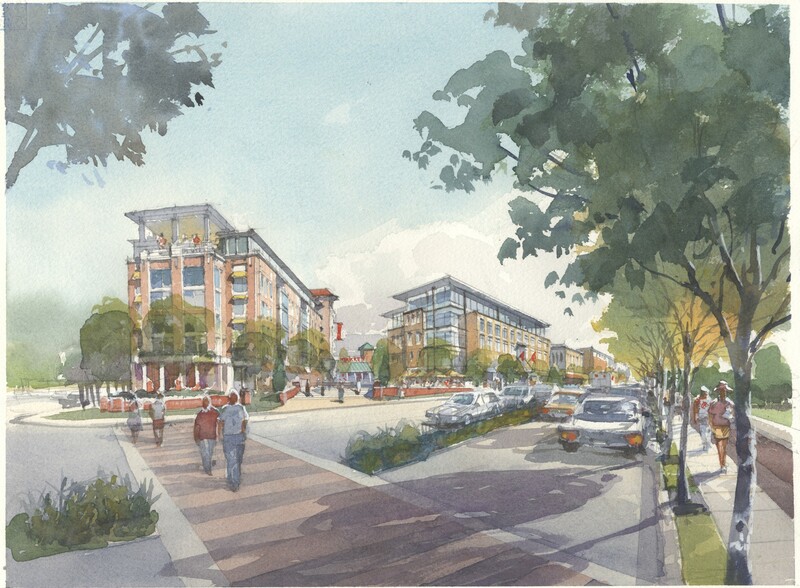 The vision for the East Campus Redevelopment Initiative is to create a dynamic, vibrant, pedestrian- and transit-oriented, mixed-use district that seamlessly connects to the University of Maryland campus, Route One, downtown College Park, and area destinations, including adjacent neighborhoods, M Square and the Metro. The East Campus site faces the main entrance to the University of Maryland, College Park across Route 1/Baltimore Avenue. Currently, East Campus functions as the “back of house” for the University providing power, maintenance, and storage facilities. However, the site is in a strategic position to be one of the University’s gateways and, as such, extensive redevelopment is anticipated. 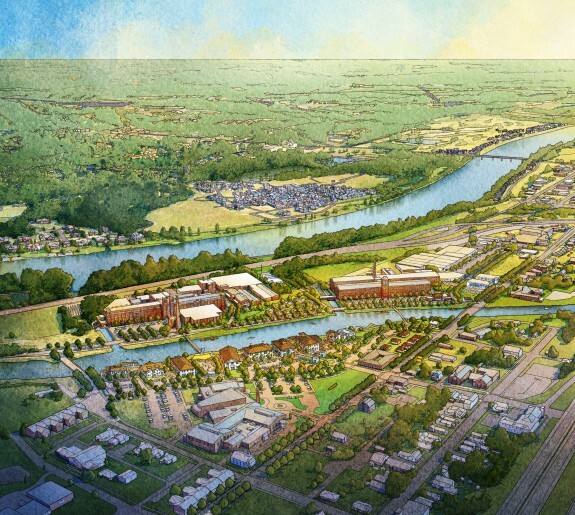 Having been involved in the project in an advisory role on the Architectural Design Standards Board (ADSB), Design Collective was subsequently engaged by the University to amend the East Campus Design Guidelines following initial work by a development team. Although much of the criteria was sound in the first draft, there was a lack of specific requirements and definitive measures. 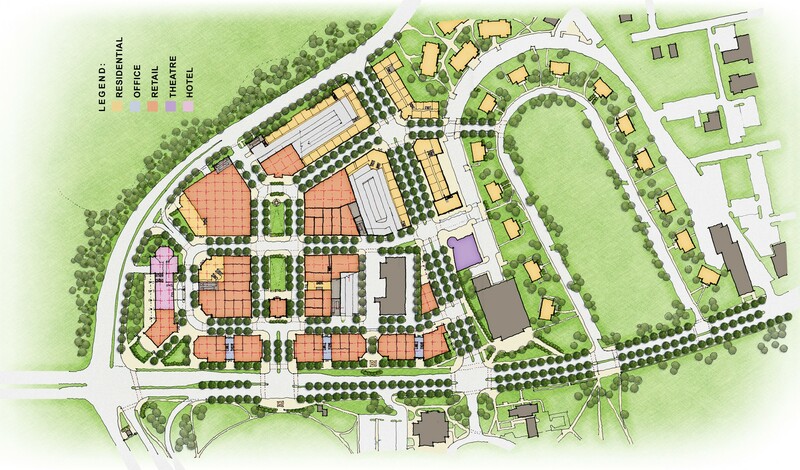 While this produced a favorable and flexible position for the initial development team, the anticipated form of East Campus was questionable. 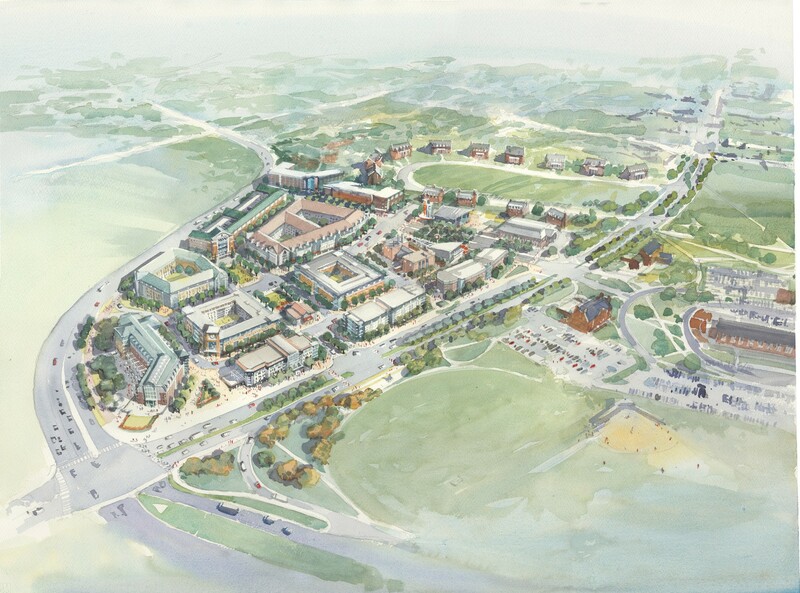 Therefore, a clear goal was set to refine the criteria to more accurately reflect what was desired for East Campus and establish a means of enforcing the Guidelines. 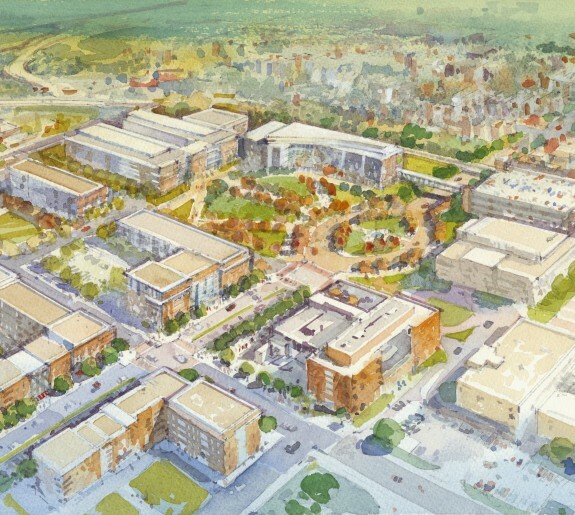 The strategy for the Guidelines revision was to overhaul the structure, language and images to reach an acceptable level of precision ensuring East Campus is built as envisioned by stakeholders. 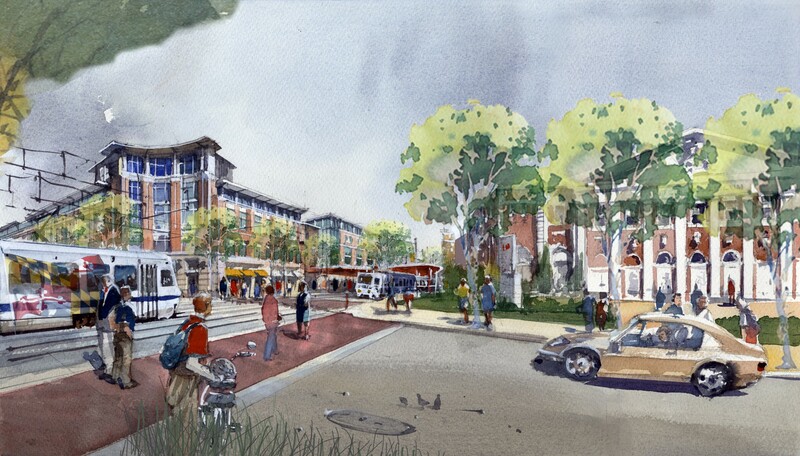 Design Collective worked closely with the University and community representatives to achieve this goal. 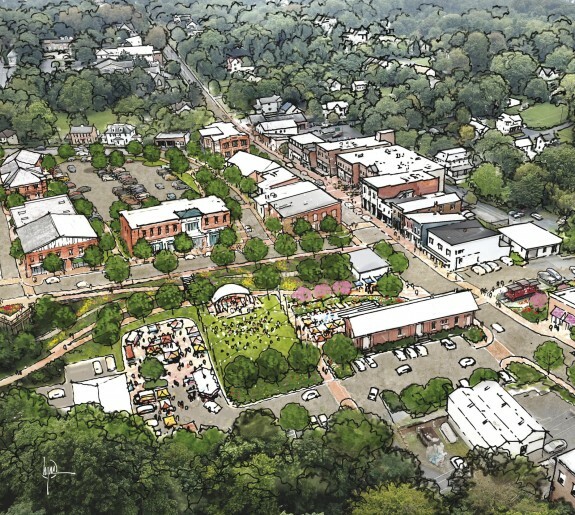 The Design Guidelines address all new, above-ground construction in the redevelopment area of East Campus, including, but not limited to: roadways, sidewalks, landscaping, street furniture, building massing, building facade composition and materials, lighting, signage, and similar.